Making plans or getting one’s hopes up based on assumptions can lead to disappointment. Example: A race is coming up and the prize for winning is a whopping $500. A man named Gilbert will be entering the race, and he’s feeling confident that he’ll win the whole thing. He’s so confident, in fact, that he’s even bought a brand new TV and plans to use the prize money to pay for it! Thus, it could be said that Gilbert is counting his chickens before they’ve hatched. Why? Because he’s only assuming that he’ll win the race and the prize money, and he’s making plans based on those assumptions. However, that outcome is not guaranteed. And as it turned out, Gilbert lost the race, so he had to return the TV. This? This is my home. If you lived on a farm and had a chicken that laid three eggs, does that mean you will soon have three more chickens? If you said yes, well, as the saying goes, don’t count your chickens before they hatch. Why not? Because it is not guaranteed that all three of those chickens will hatch successfully and be okay. 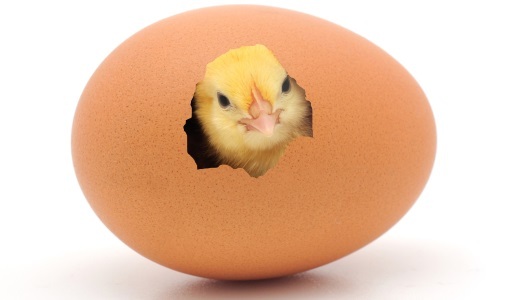 Complications can arise that result in them dying before or even during hatching. Thus, out of those three eggs, maybe only two of them survive. Or maybe none at all if things go really poorly. Louis knew exactly what he wanted to make himself for dinner after a long day at work. While he was excited at first, he soon realized that he counted his chickens before they hatched because he didn’t have the ingredients he needed. Note: Sometimes, a phrase’s origin is unclear. So what’ll in such cases is this: If there are explanations that talk about how the phrase originated, then these will usually be included on the page. If there are none, then there will typically be a quote of the expression being used in writing. These are usually the oldest known citations that I can find. These quotes can give you an idea about its age. So, for example, if the quote containing the expression comes from a book from 1600, then you know it is at least that old.